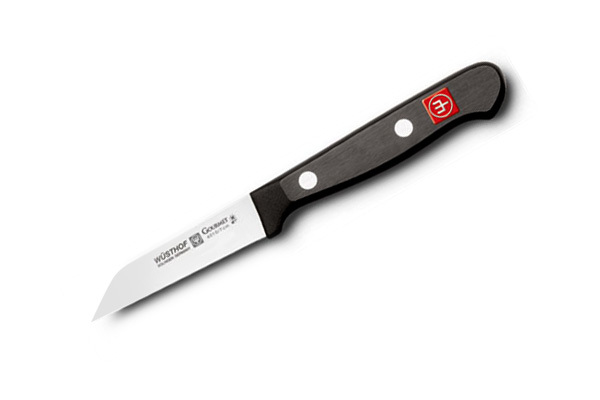 The Wusthof Gourmet Straight Paring Knife is used for mincing shallots, herbs, cleaning & cutting smaller vegetables. The Wusthof Gourmet series includes a wide assortment of knives for all purposes. Manufactured from one piece of Chrom Molybdenum Vanadium steel, precisely cut with the latest state of the art laser technology. The comfortable, triple-riveted polymer handle provides excellent balance and maneuverability. Made in Solingen, Germany with a lifetime warranty.